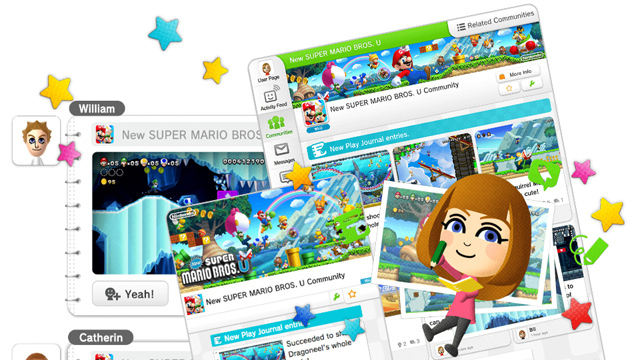 A new firmware update for Wii U hints at the end of the Miiverse social service. The new Wii U update 5.5.2 U went live this evening, promising “Improvements to system stability and usability: Further improvements to overall system stability and other minor adjustments have been made to enhance the user experience”. There’s more to the update than meets the eye, as Twitter user Shiny Quagsire noted a new line of hidden text that users may encounter when Miiverse eventually shuts down (with the discovery credited to WulfyStylez). "The Miiverse service has ended. Miiverse was originally introduced with the Wii U back when it launched in November 2012, and came to 3DS the following year. Nintendo’s intention with the social service was for users to share game tips and illustrations across specialized communities. In the five years since, the service asked such life-affirming questions as “Y Can’t Metroid Crawl?“, wrote a bad romance, and allowed users to admire the water. Nintendo has not yet announced the end date for Miiverse on Wii U and 3DS, but this hidden text plants the seed for when they do. Miiverse already failed to make the jump to Nintendo Switch this March, further hastening its demise.